Many of the more beautiful houseplants are actually dangerous to be around. They have substances in them that can irritate the skin or that can be poisonous to the touch, and allergy sufferers have to take extra special care. Don’t let this ruin the joy you take in such plants, however. You just have to learn how to deal with them properly. First, wear rubber gloves and avoid getting any plant juices into your eyes, mouth, or any open wounds. If you have small children, it’s definitely best to avoid dangerous plants until children are old enough to understand the dangers. Also, pets aren’t always as smart as we think. Cats and birds love to nibble green plants, and they don’t know which ones are poisonous or not. Sometimes only particular varieties or species require that you use special caution. Other times, an entire plant family is poisonous. In some plants, the irritants are confined to certain parts like just the leaves or the stem, while in others the whole plant is poisonous. Remember that all poisonous plants are marked with the death’s head symbol in the plant portraits and on tags. Known for their poisonous qualities are the Solanaceae. Others include Browalolia, Brunfelsia, Capsicum, and Solanum pseudocapsicum. 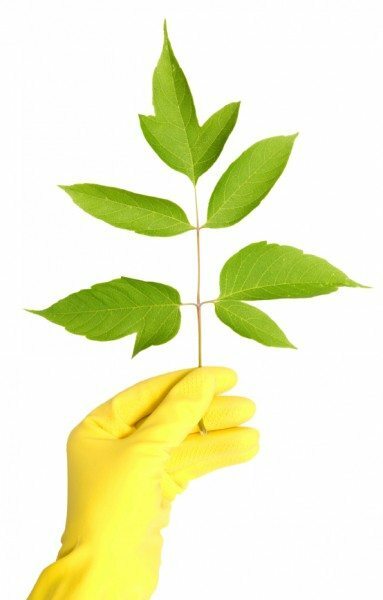 Always wash your hands thoroughly if plant injuries have left sap or cell juices on your fingers. Do not rub your eyes while working with these plants. It could be as hazardous as touching a jalapeno pepper to your eye! Berries on plants, like those of clivia, are particularly dangerous for children. Kids cannot resist temptation and put the fruit in their mouths. Many berries on houseplants produce nausea, vomiting, and stomach pains, followed by sleepiness and widening of the pupils. Most cases of plant poisoning are caused by Solanum pseudocapsicum. These plants all have a bitter taste and cause nausea when eaten. They contain substances that affect the functioning of the heart, but are dangerous only if a lot of blooms or leaves are eaten. Just the same, be very careful around this plant family, especially with children. 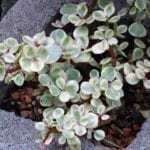 Although it’s rare to be in constant contact with the subterranean portions of these plants, it is important to know whether it is necessary to look out for poisonous substances when repotting. Remember too, that it is life-threatening for children to eat the tubers of Gloriosa lily (Gloriosa superba) or Autumn crocus (Colchicum autumnale). A very troublesome allergy is one to Primulas. People with such an allergy may experience irritation or skin infections at the lightest contact with Primula abconica (and even more so with Primula malacoides). Secretions from the fine hairs on the leaves and stems of this species cause really bad reactions in many people. Primulas are not poisonous, however. A similar material is contained in the corms of Cyclamen persicum, but you don’t usually come into contact with the corms. Nature has given certain plants very effective defenses. Think about the prickles and sharp-ended thorns. Everyone will have experienced how painful cactus thorns in the skin can be. Yucca, as well as many species of agave and aloe, have sharp points on their leaves that produce skin abrasions and wounds if you bump into them while repotting. Children playing near them can get hurt by getting the points in their eyes. Some of the strongest poisons in the world are produced by simple plants. A particularly poisonous specimen is the desert rose (Adenium obesum), which belongs to the Apocynoceae family. It is absolutely essential to avoid contact with its latex. Remember that plants that endanger humans can also be dangerous to our pets. Cats, dogs, caged birds, rabbits, hamsters, guinea pigs — any pet that roams freely in your home is at risk of being poisoned if you have these types of plants in your home. If the cats aren’t allowed outdoors every day to satisfy their need for grass, they’ll start nibbling your houseplants. It’s wrong to believe that animals will know what is good for them and what isn’t. Always put a bowl of cat grass on the windowsill for your cats. Watch out for those cacti as well. Chasing flies at a window has netted many a cat prickles instead of prey, and the small wounds often need many weeks to heal. Dogs, too, get hurt. Because both dogs and cats will drink any water, they are also endangered by plant remedies and fertilizers that have been dissolved in leftover plant water. Although pretty, it’s very obvious that plants can be dangerous not only to humans but to your pets. Follow directions and keep these types of plants out of reach of small children and your pets. This will save you a lot of trouble and heartache in the end.